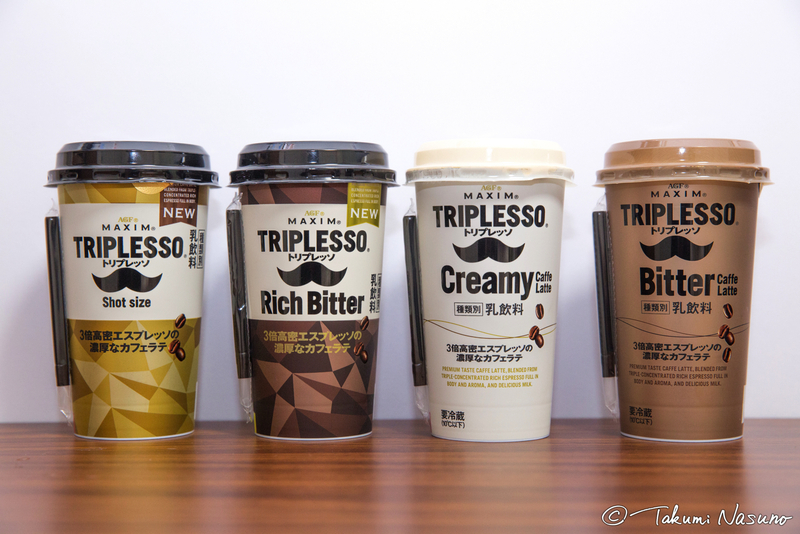 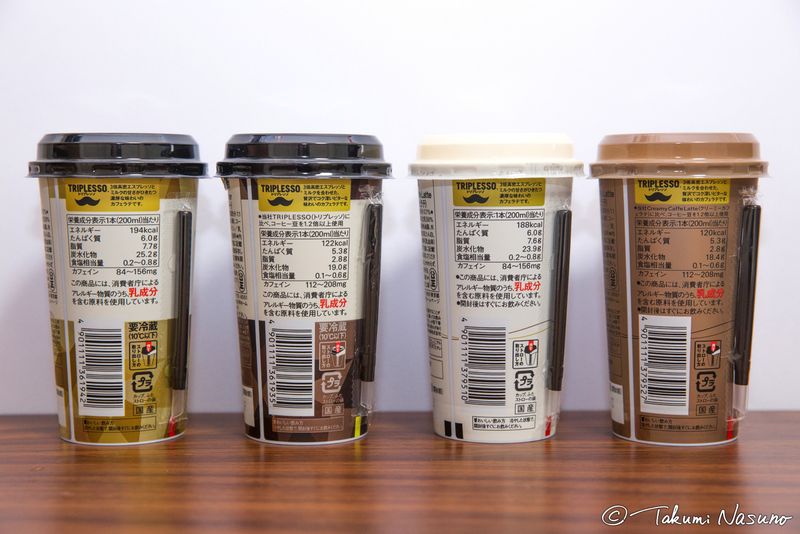 I proudly announce that two kinds of new TRIPLESSO, Creamy Caffe Latte and Bitter Caffe Latte, are now available at several supermarkets - Sanwa, Y'smart, Bunkado and Don Quijote! 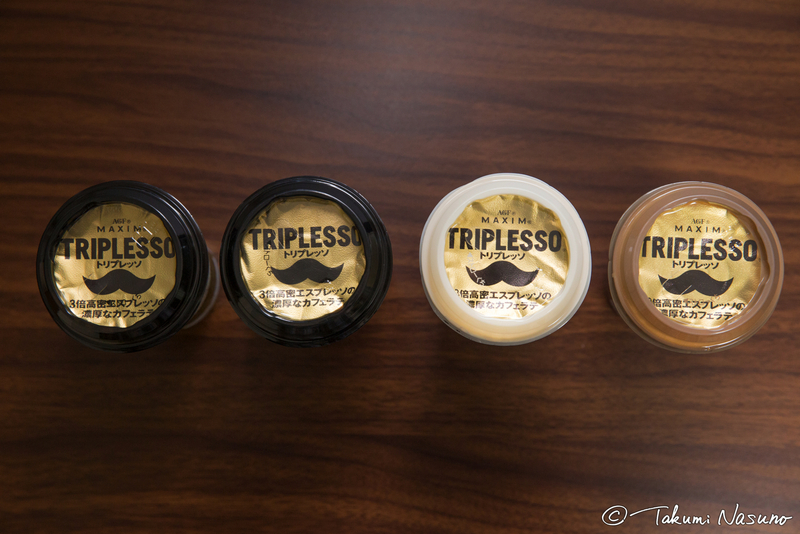 Here're four kinds of TRIPLESSO currently in the market. 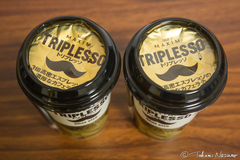 The two on the left were released in May 2017, and the two on the right has been released this time in March 2018. 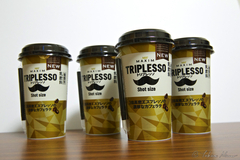 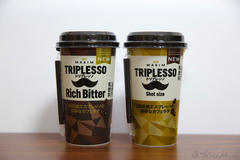 It appears like the "Creamy Caffe Latte" is a successor of the normal TRIPLESSO, and the "Bitter Caffe Latte" is a successor of "Rich Bitter". 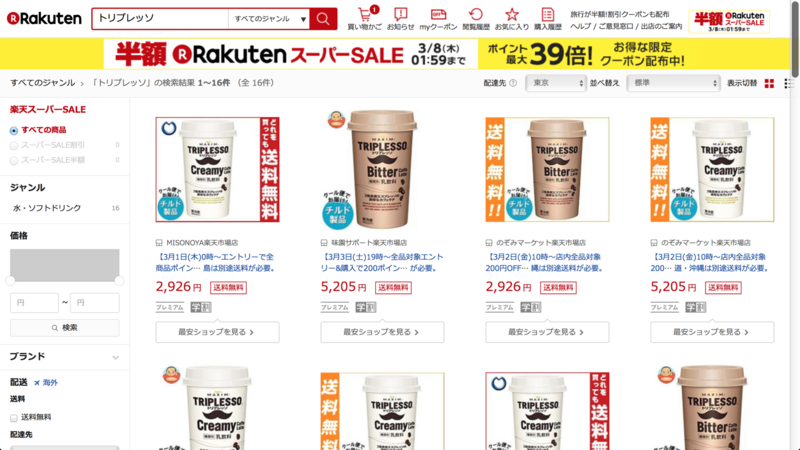 Although there is no public announcement from Ajinomoto AGF, Inc., I guess this case is not an appearance of new products but a renewal of current products since Rakuten Mall now deals with only the new ones. 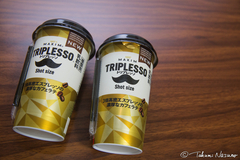 Here're several photos from the other aspects. 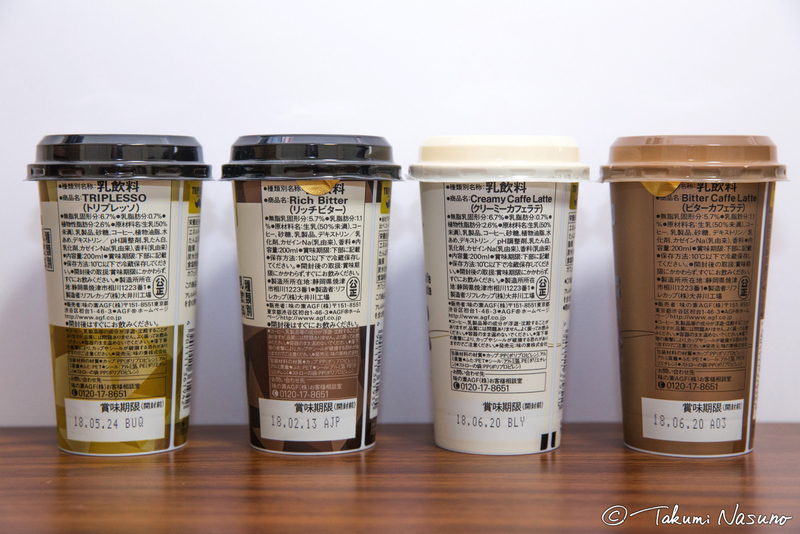 It turned out that both "Creamy Caffe Latte" and "Bitter Caffe Latte" use less sugar since sugar now appears after daily products in the ingredients list of the both whereas sugar appeared before dairy products in the list of the original ones. 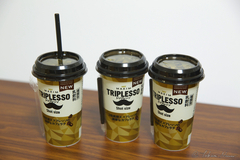 Yet, we need to keep watching the change in how the supermarkets deal with TRIPLESSO since we do not have any official information from the company.